This guide contains everything that you need to know about the Google Search Console. If you are a newbie to SEO, then this blog will help you to get started with the Google Search Console (GSC). First of all, you need to understand what is Google Search Console? Google Search Console is formerly known as Google Webmasters Tools (GWT). In May 2015, Google rebranded GWT to “Google Search Console”. This is a tool which is used to instruct a website how to perform on Google search results. First login to webmasters https://www.google.com/webmasters/ and click on “Add A Property”. Then, copy and paste your homepage’s exact URL into the field. Now, it is the final step which is taken to verify your site. 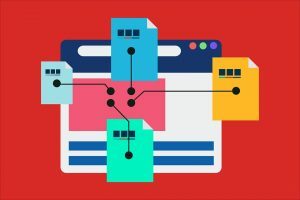 HTML File: you need to upload a unique HTML file to your site. HTML Code Snippet: you need to simply upload a small HTML tag to the <head> section of your homepage’s code. Make sure to verify the http and https versions of your website as separate properties. After verifying your website, you need to select a preferred domain. This tells Google to use “www” or “non www” version of your website. You can also choose the “don’t select the preferred domain” option. After selecting your preferred domain, you need to choose your target country. To select your targeted country in Google Webmasters Tool, you need to go to “international targeting” section under “Search Traffic”. There you can select your targeting country from drop-down box. If you have a small-sized website, you probably don’t NEED to submit any sitemap to Google. But for bigger sites (websites with thousands of pages) a sitemap is the KEY. For bigger web sites a sitemap is the KEY. Although, you can submit the sitemap in either case. To submit the sitemap you just need to head over to “Sitemaps” under “Crawl” section. You also get the facility to test your sitemap, if you see no error, then you can submit your sitemap successfully. You can also test your robots.txt file, to test the robots.txt file you just need to head over to “robots.txt Tester” under “Crawl” section. There you can load your robots.txt file and check the “allowed/blocked” status for a particular URL. After all these steps, you need to submit your website to the Google index. You can submit your website URL in “Fetch as Google” then Google will crawl your site and if finds it worthy then Google will index your site. You will get some ranking in Google’s search results. You can check the list of internal and external link to the site. You can also check the crawl errors which are generated when Google-bot finds any difficulty to crawl your webpage. You can temporarily remove any unwanted URL of your website. A removal is only active for 90 days. After that Googlebot will attempt to recache the page. This tool also shows the impressions, CTR, search queries and their position in SERP. Check the security issues with the website. (Hacked Site or Malware Attacks). You can also inform Google about new page of your site, and can apply to index that page. Once you follow all the steps listed above, it means you have successfully implemented Google Search Console to your website.